The name Raffles is synonymous with luxury. While Singapore is arguably more famous, Raffles Makati is stunning. This all suite hotel is in the heart of Makati and offers everything you could ask for and more. The expansive suites are far more than just a bedroom and feature an elegance reminiscent of days gone by. You personal butler will take care of every need and the famous Filipino hospitality is on show from the moment you step into the sumptuous lobby. Spend your days indulging in the amazing breakfast buffet at Spectrum, beat the heat in the fabulous resort style rooftop pool, sample world class cuisine at Mireio and head to Long Bar for a night cap as the night comes to an end. Make sure you order a world famous Singapore sling, better yet, go to Long Bar for happy hour and enjoy free flow selected drinks (including the Singapore Slings) for only 695php. With all this on site why would you ever want to leave? Intrigued? Read more about my fabulous stay at a Raffles Makati to see if it is right for you. Book here. Ahhhh Boracay how I miss you! This stunning island is perhaps the most famous in the Philippines and for good reason. Boracay boasts pure white sands, impossibly clear aquamarine waves and thumping nightlife which draws visitors in droves. Our stay at Coast Boracay was beyond fabulous. We were welcomed like family the moment our Skyjet flight landed in Catalan and we were escorted in style all the way to this beautiful boutique hotel in the heart of Boracay Station 2. The location cannot be beaten. You are in the heart of all the action, but far enough away so that the crazy Boracay nightlife won’t bother you if you prefer a more laid back break. The service at Coast Boracay was flawless. Every single staff member we interacted with went out of their way to make our stay special and we really appreciated it. Our room was poolside and while compact, was very comfortable. The complimentary welcome gifts, nightly treats and exceptional attention to detail made for an incredible three days at Coast. The two centrally located pools offer the perfect place to cool off on a steamy day and of course the amazing White Beach is just steps away. Make sure you head down at sunset for some amazing views. To this day The Hubs still rates Coast Boracay as the best hotel he has ever stayed at which is high praise indeed! Book here. Movenpick Mactan Island Cebu is magic. 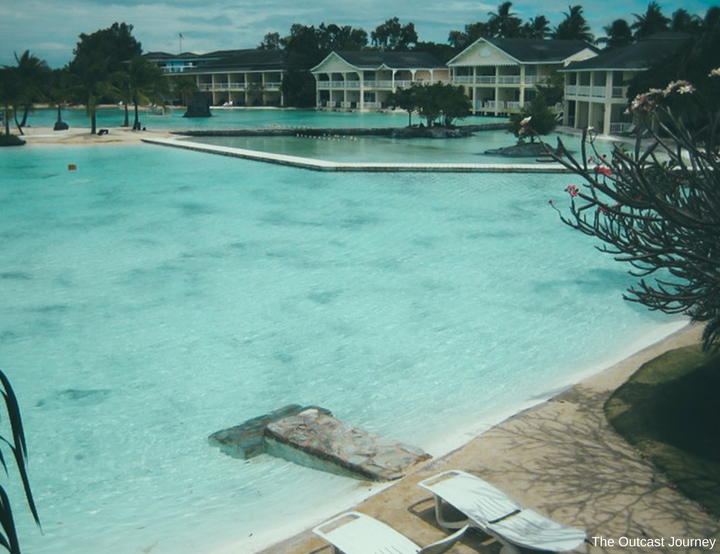 It’s just 6klms from Cebu Mactan International airport yet offers a world of indulgence. The Mediterranean inspired high rise hotel is the perfect place to base yourself in Mactan Island, Cebu. The buffet breakfast at Sails restaurant makes for a brilliant start to the day and the pristine private beach (which includes a marine sanctuary) is the perfect place to laze away sunny days. Make sure you linger around the lobby in late afternoon when the friendly servers bring around chocolate treats to all the guests. The choc dipped mango’s are the bomb! When the suns starts to dip beyond the horizion head to Movenpick’s Ibiza Beach Club for sublime cocktails with killer views before retiring to your luxury suite for a blissful nights sleep. There is lot’s to love at Movenpick Mactan Island. Book here. 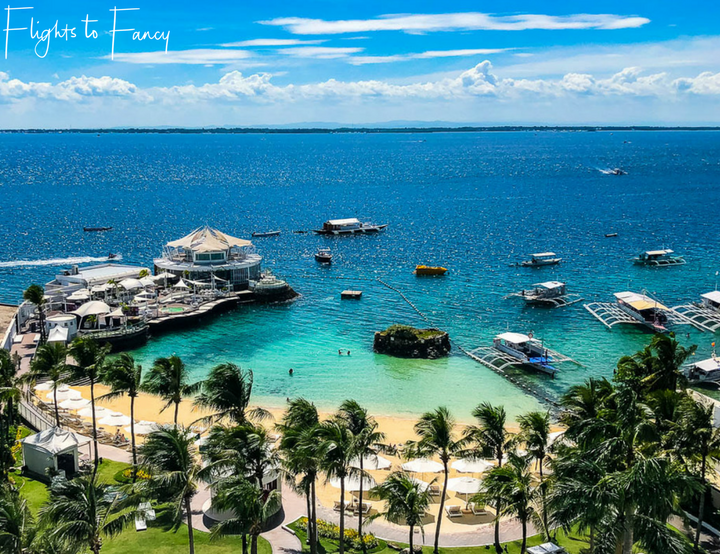 Cebu City is often just a jump off point before travellers head further afield to explore Cebu’s many charms but savvy travellers will make sure their short stay is done in style. Radission Blu Cebu City is a 5 star hotel in a prime location with a selection of spacious well-equipped rooms to suite every budget. Onsite you will find an amazing resort pool, 5 eateries, swanky bars, a gym and a relaxing spa. The staff at Radisson Blu place the customer firmly at the centre of everything they do and the service is exceptional. 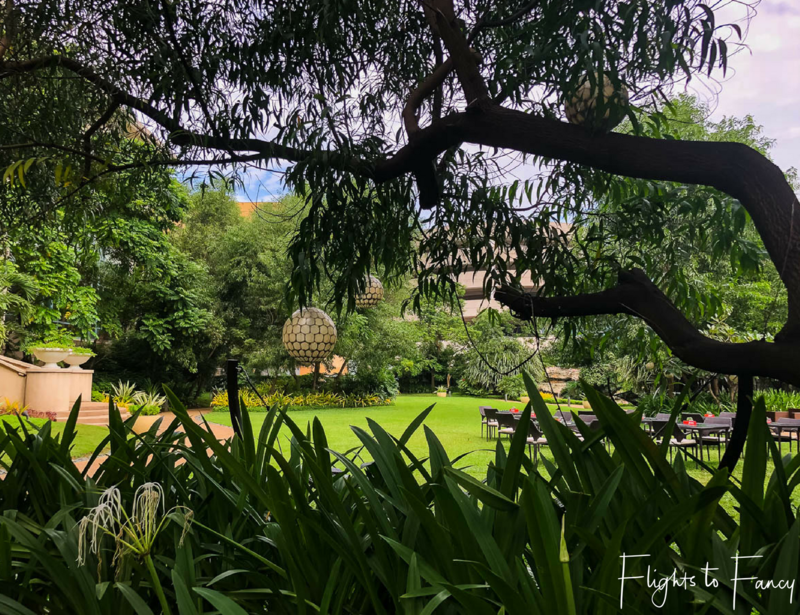 The grounds at Radisson Blu Cebu City are so pretty that is it a favourite with local wedding photographers and we saw three weddings during our short stay. 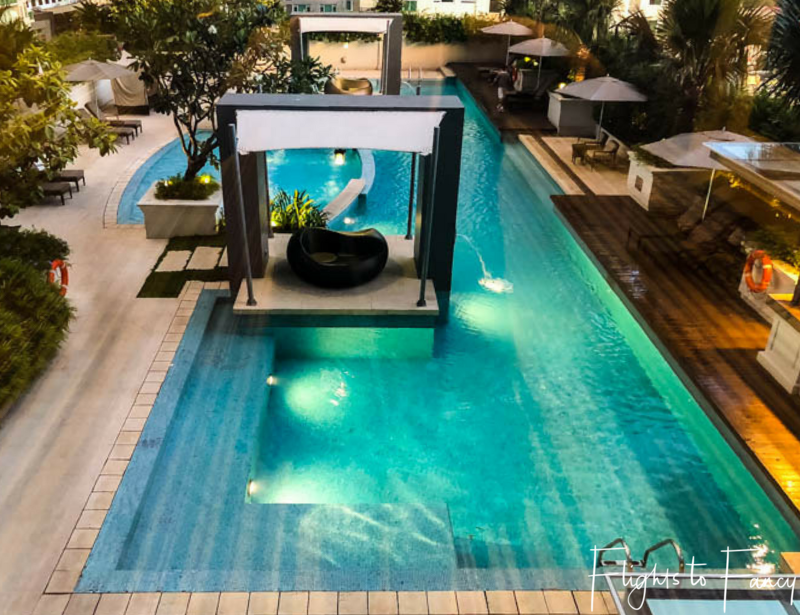 If you can drag yourself from the extensive grounds, shopaholics will love that the Radisson Blu is connected to SM Cebu City via a very short walkway. Make sure you leave room in your luggage for all your purchases! Book here. The Fairmont Makati is located in the heart of Makati’s ritzy retail district and offers a very comfy bed for weary shoppers. I highly recommend upgrading to the ‘Gold Lounge’ package which comes with a bunch of perks including personalised in room check-in and check-out, free breakfasts and complimentary nightly cocktails and canapes. The minute you step into the over-the-top lobby you know you are in for a special treat but when you see the decadent chocolate welcome gift awaiting you in your room you are in no doubt that you have made the right choice. Breakfast at Spectrum is a treat with countless temptations from around the globe including some very special locally sourced hot chocolate. Guests can spend lazy sunny days cooling off in the huge resort style swimming pool on the fourth floor with a cocktail from the pool bar, working out in the fully equipped gym or relaxing while enjoyong one of the fabulous treatments at the in-house spa. Fairmont Makati really does has something for everyone. Book here. The Farm at San Benito is a first class retreat in Batangas tucked in a former coffee and coconut plantation on the outskirts of Lipa city. It is located about 8 kilometres from downtown Lipa and 2 hours by car from Manila. The Farm offers various different accommodation options including Sulu Terraces, Palmera Suites, Anahaw Villas, Garden Villas and the fantastic Master Villas. The Farm is a holistic wellness destination and the only one of its kind in the Philippines. The Farm is not the type of place you overnight, rather it’s the kind of place where you take a break from real life, relax in the peaceful surrounds and enjoy the in-house treatments. The Farm only serves vegan food and packages are available. The Farm offers many free services and during my stay I enjoyed a fabulous afternoon tea, took a guided walk, tried floral design, participated in an exercise class and got hands on in a vegan cooking class. It was an awesome ending to my two weeks in the Philippines. Book here. Plantation Bay is a 5-star hotel and resort in Cebu that is the stuff of dreams. Away from the bustling city, this luxury hotel in the Philippines sits at the far end of Marigondon, Mactan Island. Designed for travellers looking for relaxation, Plantation Bay’s 11 hectares offer numerous activities includes bicycle rides, a gym, a games room, wall climbing, a firing range, jet skis, banana boats, parasailing, scuba diving, and kayaking. Plantation Bay has been open for two decades and it’s charm hasn’t faded one bit. From the lobby to the guest rooms, each element of Plantation Bay’s interiors have been carefully planned, and the pools are designed to mimic seawater for a one-of-a-kind experience. Plantation Bay offers 4 fancy (yet pricey) restaurants and unless you have your own car, dining outside the resort is a little tricky. Plantation Bay is perfect for special occasions, romantic breaks and family vacations. Book here. Paradise does exist and it’s called Pangulasian Island. 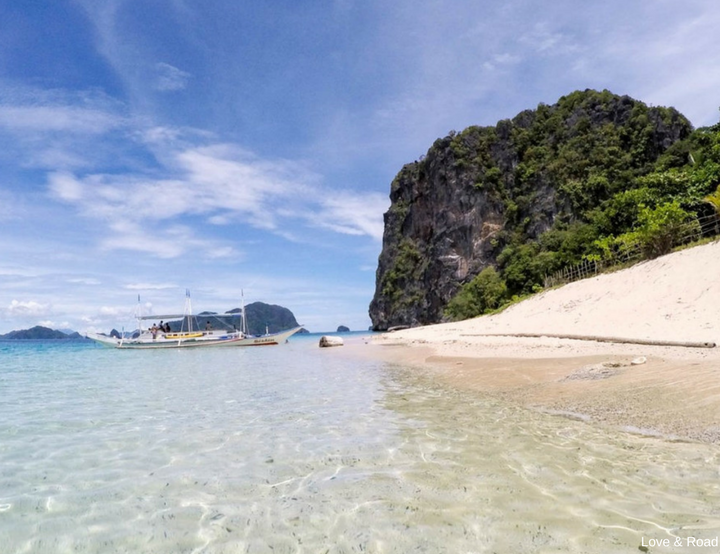 This stunning islet in El Nido Palawan is the perfect travel destination for any traveler seeking luxury, pristine beaches, boat adventures, first-class diving and eco-friendly experiences. 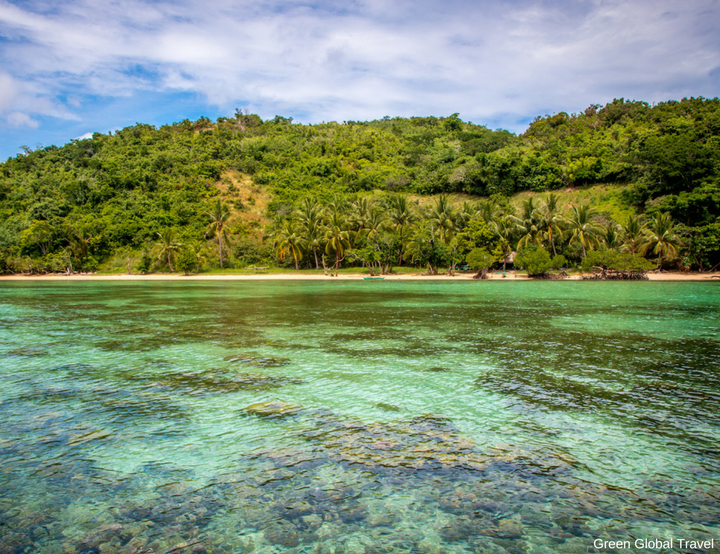 In 1998 the island was declared a protected area and the Pangulasian Island Resort is the only hotel there. The luxurious resort blends perfectly into the green forest in the background and the turquoise water right in front of the bungalows is a marine sanctuary. There is no doubt in my mind that the Pangulasion Island Resort is the best place to stay in El Nido, the rooms are marvelous and you have total privacy. Your closest neighbors are the colorful hornbill birds, monitor lizards and monkeys. The manager of the hotel once told me “On Pangulasian Island we are all guests, the animals are the residents and we must respect them”. With this mindset, all guests at this 5 star eco-friendly property must agree to protect the local flora and fauna while enjoying the beauty of El Nido. Book here. After spending a month in the Philippines, when people ask me about my favourite island, my answer never changes – Bohol! 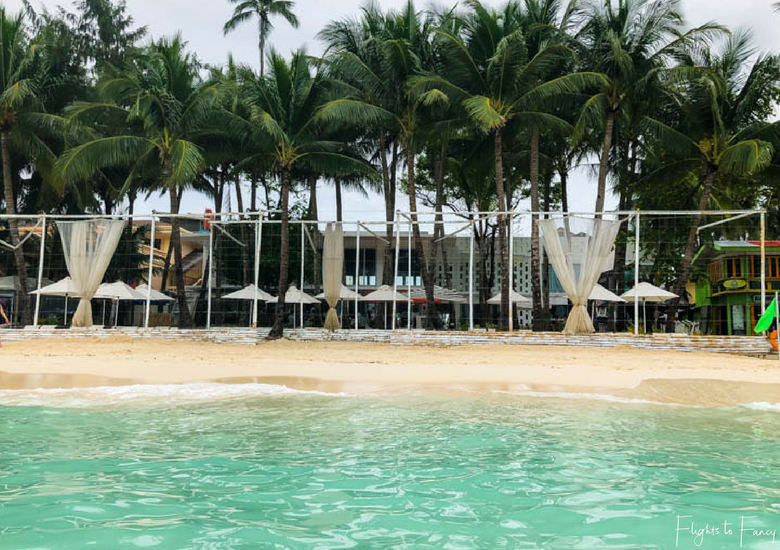 Not only is Bohol home to a great variety of things to see and do, there is also Bohol Beach Club, my favourite luxury hotel in the Philippines. 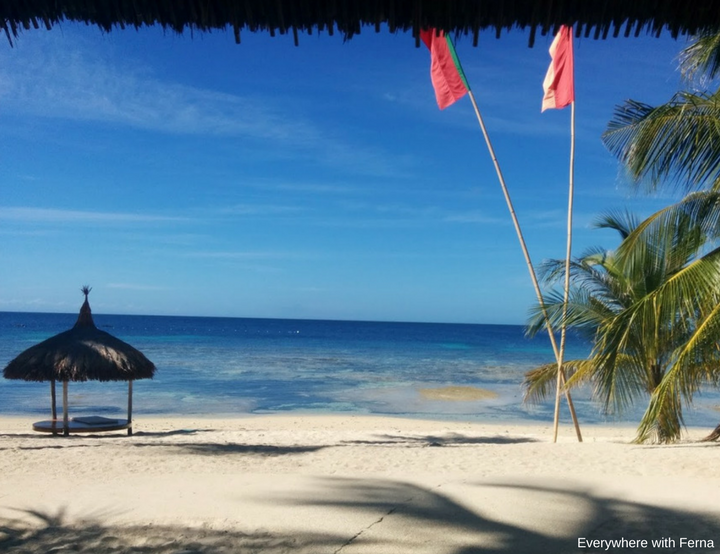 Bohol Beach Club (also known locally as BBC) is located on a beautiful stretch of white sand and is close to a spectacular coral reef meaning you can snorkel or swim without having to move too far! The food choices include both Filipino and international specialties and the humongous breakfast buffet will keep you full all day long. The resort is quite small and even when it’s full, it doesn’t feel crowded. We spent two blissful days, relaxing, swimming and diving, and we really hope to go again soon! Book here. You won’t find Misibis Bay Resort on the beaten tourist path. In fact, even getting to Misibis Bay in an adventure in itself. The road from Legazpi City is long and winds into and over the surrounding hills but unless you are Zack Efron, who flies by helicopter, it’s the only way. Once you arrive the arduous journey is a distant memory and you are transported to a world of wonder which you’ll never want to leave. The Misibis Bay Resort has something for everyone, starting with the stunning rooms and bungalows with private beach access. There is an onsite spa if you need some TLC and adventure sports galore for the more active traveller. And did I mention the delicious food? Meals are served in typical Filipino style and there is lots so you will never go hungry at Misibis Bay Resort. Book here. Located about 40 minutes by boat from Busuanga on its own private island (Dimakya), Club Paradise is the sort of remote tropical hideaway lifelong dreams are made of. From beachfront cabins to garden suites, the resort offers a spacious slice of paradise perfect for couples and adventure travellers alike. The island is surrounded by beaches, with Hidden Beach and Sunset Beach our personal favorites. 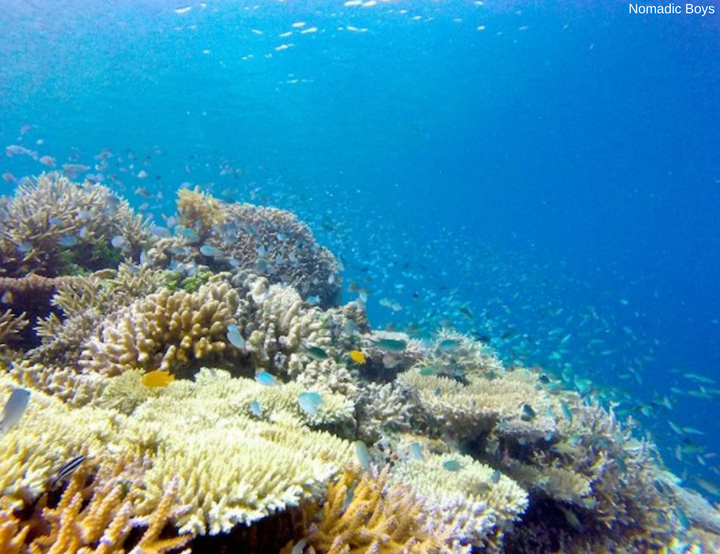 There are many things to do in Coron Palalwan and the snorkeling just offshore is beyond spectacular. We saw Black-tipped Reef Sharks, Sea Turtles, Giant Clams, Pufferfish, Spotted Rays, and two Octopi having a killer color-changing chase, all in a span of an hour. Scuba divers will find plenty of other marine life on the pristine reefs nearby, and you may even have a chance to spot a Dugong (a cousin of the Manatee), as we did. The resort also offers half-day island-hopping tours that take you to three different islands in the area. The islands change from day to day depending on the weather, we visited uninhabited Diatoy, snorkeled off the beach of Dimalanta, and wandered the sandbar of Malpagalen Island (a.k.a. the Island Without Trees). After a day of fun in the sun, try the traditional Hilot massage at their Glow Spa. The post-massage tea service was a lovely, romantic touch. Club Paradise ultimately proved so nice, we visited it twice. Our experience made it crystal clear why the Palawan archipelago has been voted the Best Island in the World so many times. Book here. If you ever fancied staying on a private island then this is your chance. 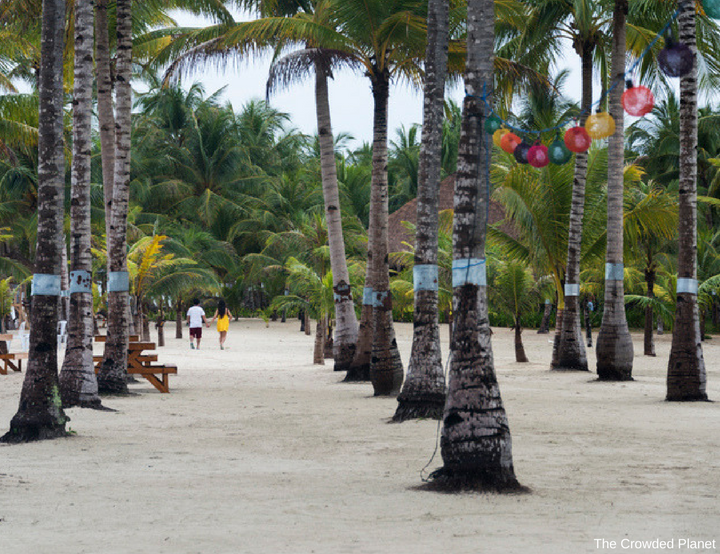 Just a 10-minute boat ride away from the main island of Cebu, there is Sumilon. This private island is owned by the Bluewater Resort and is the perfect getaway away from the tourists in Cebu. The island itself has a little lagoon for kayaking, a private marine park for amazing snorkeling, the perfect white sand beach, an infinity pool on top of the hill with magical views and an all-inclusive restaurant. Opt for one of the 3 honeymoon villas to get your own private pool and a lush garden with ocean views. There is also a coastal walk around the island with incredible views from the cliffs to the crystal clear water below. On top of this all Sumilon Bluewater has a sand bank that is a famous Instagram spot, but as it is open to the public it tends to get busy in the afternoon so go early! Book here. Flower Island Resort is one of our favourite luxury hotels in the Philippines. Located in Palawan on its own island, guests stay in cottages, located right on the beach. The cottages are spacious, tastefully decorated, and each has a beautiful four poster bed draped in a practical mosquito net. The private balconies are equipped with hammocks to relax the hours away and take in the glorious sunsets every evening. Flower Island is surrounded with stunning coral reefs which are thriving with life. This makes for spectacular snorkeling and you can easily spend hours in the water. We saw many turtles and a whole range of tropical fish. The island is located near a large pearl farm, which is fascinating to visit. It’s strictly guarded to defend against pirates, but well worth a visit to learn more about the industry. Book here. Fort Ilocandia Resort Hotel in Laoag City, Ilocos Norte is a fusion of history, majestic charm and modern convenience. Set on a very large piece of land, the hotel has its own driving rage, in-house restaurants, shooting range, ATV course, a mini zoo, swimming pools, canals and its own beach! The spiral stairways, opulent woodwork, fabulous courtyards with lush green lawns, palm trees and the large fountains give it a grand touch. 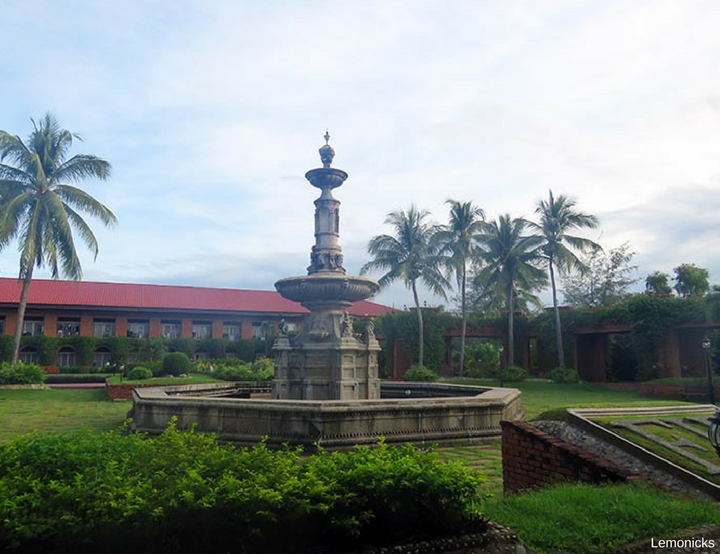 Guests who stay at Fort Ilocandia can enjoy a taste of history while relaxing in style. It’s no wonder that so many royals, celebrities, and world leaders have chosen to stay in Fort Ilocandia. Book here. Coco Grove Resort is one of the most amazing luxury hotels in the Philippines. 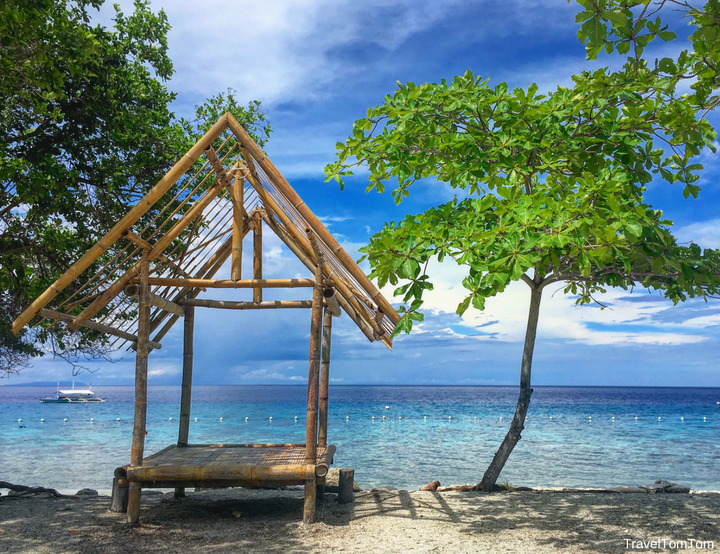 Situated on the magical island of Siquijor, it covers 8 hectares and is fringed by an 800m private white sand beach lapped by incredibly clear crystal blue water. I loved the swimming pool at the centre of the resort and the pool bar right beside it. The service at Coco Grove is first class and I was impressed that the staff call the guests by name especially, in the three onsite restaurants. There are plenty of activities on offer like outdoor games, diving, snorkeling, sailing and island tours. As a water lover, I found Coco Grove’s private beach offered some of the best snorkeling on the island. One of the most special aspects of staying at Coco Grove is the authentic way they honour the culture and traditions of the Philippines and I felt very privileged to be a provided with such a unique insight. Book here. So what did you think of my 15 mind blowing luxury hotels in the Philippines? Which one was your favourite? I would love to hear your thoughts in the comments below. Pin “15 Luxury Hotels in the Philippines” for later! 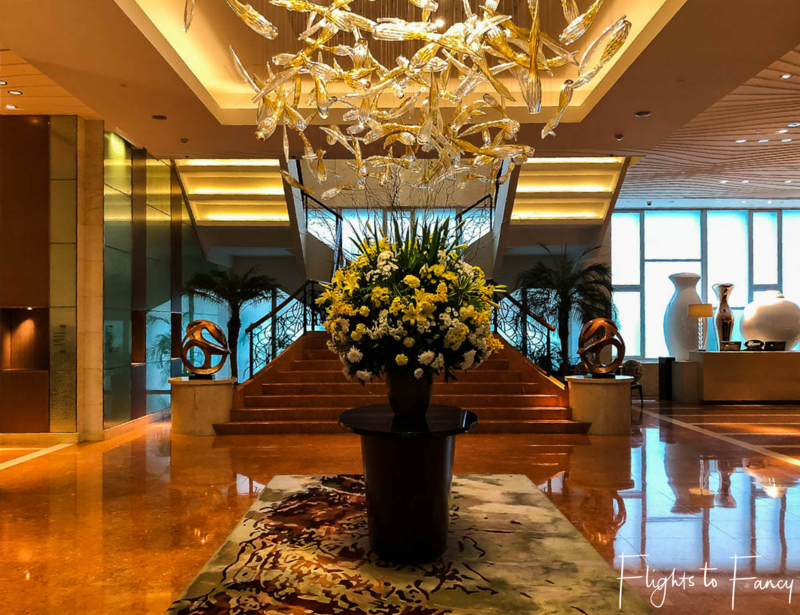 Disclaimer: I stayed as a guest at Raffles Makati, Coast Boracay, Radisson Blu Cebu City and Fairmont Makati and received a discounted stay at Movenpick Mactan Island. As always, all opinions are my own. 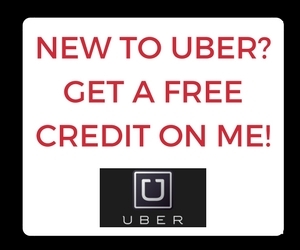 This post contains affiliate links which will earn me a few cents to contribute to the running of this site if you make a qualifying purchase at no extra cost to you. The opinions of the other bloggers who contributed to this piece have been accepted in good faith and I encourage you to visit their articles for full disclosure. Allison, The Philippines is on my list for next year!! This is a great post, I pinned this for later, I will be staying in one of these gorgeous places!! Hope you have an amazing time! I’ve just been checking g out flights to Manila again as Cebu are advertising for $143 (each way) from Sydney. It’s very tempting!!!! Wow these hotels are beautiful! 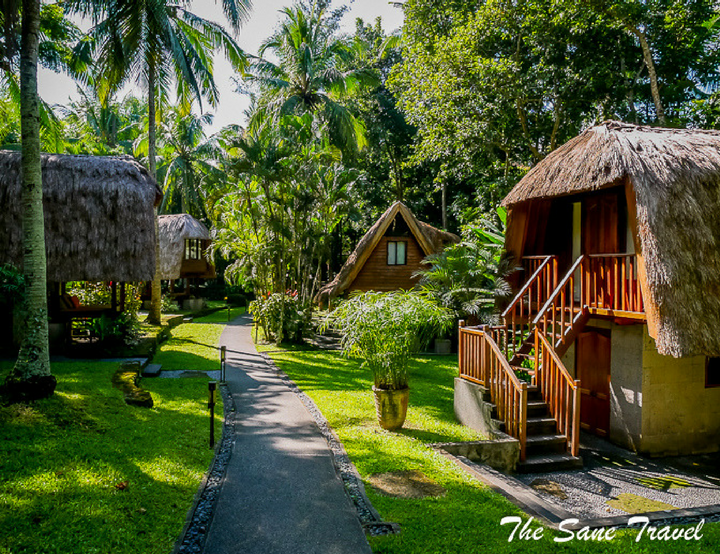 When we visit the Philippines i am hoping to book a night or two in a luxury hotel for our anniversary and these are some great choices! I always love a place with a nice pool! 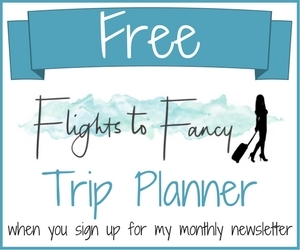 Thanks for helping me plan our trip! I think I would need to learn your ways of luxury for less to score a stay at these places lol! I didn’t know Batangas even has luxury places. I’ve heard a LOT about Raffles in Manila – everyone who stays seems to rave about it! So I would love to visit at some point. I’ve only been to Boracay in the Phillipines (well, Manila too, but outside of Manila I mean), and it had some stunning resorts. 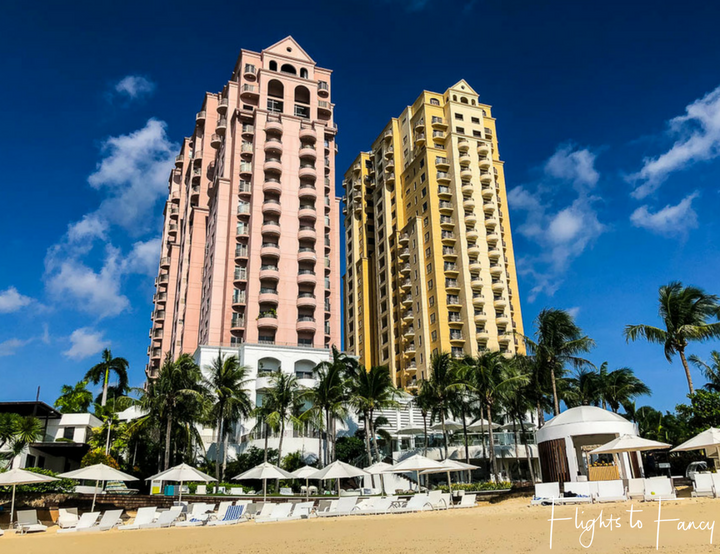 I didn’t stay at Coast, but we stayed at the Lind and the Shangri La, and I was blown away! One I really want to get to is Club Paradise in Palawn – I saw Mary and Bret’s posts from when they were there and have been inspired to visit myself – sounds like paradise! Wow! Those places sound fantastic, you obviously know how to travel with style. If I have to pick one place from above it would be Bohol, reading about coral reef and snorkelling seemed like the right place to be. Hope to visit Philippines soon. What a great list of luxury hotels in the Philippines. And all of these look equally fantastic. The BLUEWATER SUMILON ISLAND RESORT and Club Paradise have attracted me the most. Woah, you really know how to travel in style! Raffles, Movenpick, Fairmont – all legendary names in luxury hospitality and all of these properties look stunning! (as they should!). I have never been to the Philippines but it’s high on my list. And I have never really thought of it having luxury accommodations, but based on this list I definitely should have. Not I seriously can;t way to go there. I agree with you – better to save a little by booking airfare on a budget carrier and spend your money on some nice digs while on vacation! Wow, you definitely know how to travel in style! Raffles, Movenpick, Fairmont… some serious heavy hitters and they all look absolutely stunning (as they should!) I have never been to the Philippines but it’s high on my list. And I had never really thought about it having so many luxury accommodations but all of these resorts and hotels look heavenly! I agree – better to save a little money with a budget airline ticket and then spend a little extra on some nice digs while on vacation! I’ve never visited the Philippines, but would one day like to. I love the idea of visiting Raffles Makati – Singapore Slings for the win! Boracay looks beautiful, although I’m not much for beach holidays – perhaps for a couple of days! And the breakfast buffet at the BBC sounds pretty darn enticing! It would all come down to cost for me, but I do like a deal on luxury hotels! This is quite an amazing collection of beautiful hotels. I think my favorite is Plantation Bay in Cebu. That pool looks marvelous. I don’t usually stay at luxury hotels when I’m on vacation as I’d rather spend the money on seeing new things, trying new cuisines and having new experiences. Nevertheless, nice to see the variety of accommodation that the Philippines has to offer. I’ve read about Pangulasian Island before, but I didn’t know about the resort. And I absolutely love the manager’s point of view, it’s so good when they respect the nature and the animals all around the big resorts! This is a great effort , to round up some of the better luxury hotels in Philippines. The photos are awesome. For a person who has not stayed in any of the hotels above, this is a great directory of places where one could stay. What a stunning places and lovely resorts! Coron and Club Paradise would probably be my first pick – it sounds pure bliss! After reading this article, it’s painfully hard to resist booking flights to any of the mentioned islands. I’d love to explore that much-hyped underwater world of the Philippines. San Benito farm looks like my kind of place! Much as I love luxury I really love that slightly more nature connected vibe that a place like that has. Those resorts look amazing! I think I can stay there without going anywhere during my vacation. I haven’t been to the Philippines and I never thought they have so many resorts around. I only heard about Palawan. Now I know the Philippines is more than Palawan. Wow! All these hotels look incredibly beautiful. The Farm and the Plantation Bay are the ones that I find quite interesting. Club Paradise is another one that interests me with its beach cottages. Great to know about these luxury hotels in budget. I am not vegan but I am definitely going to visit The Farm in Batangas. It looked to intriguing. Great post about the Philippines, proud Fiilipino here. After checking through this list, yup, I want to get out to Philippines and check all these amazing places out. I am one for relaxation, beaches, crystal clear sea and to check out amazing resorts. Fantastic post. Isn’t it wonderful how everybody enjoys a different way of travelling? While there certainly will be many people who would love to stay at one of these stunning places, I personally don’t care too much for them. If I get a nice hotel at a great price, then of course I take it, but I do not spend my travel budget on fancy accommodations. Conveniently located, clean, and at a price that doesn’t burn a hole in my wallet – and I’m perfectly happy. And so close to an ocean I even don’t need a pool at the hotel. Like I said, everybody focuses on different aspects when travelling – my main focus is to experience the country itself, its specialties and peculiarities which often get lost somewhere between the satin sheets of international chains. I have yet to make it to the Philippines but I am dying to go for walk along its pristine shores and crystal clear lagoons. The chocolate dipped mangoes at the Movenpick Cebu are right up my alley, and I’ve heard nothing but amazing things about Coron and El Nido. 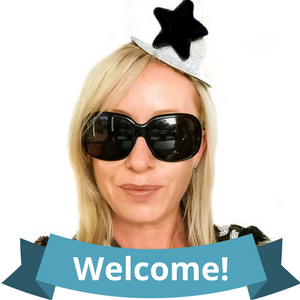 Thanks for sharing this list of recommendations from yourself and other fellow travellers! Wow, it seems I will be spoilt with choices when I visit Philippines. The Radisson Blu, BLUEWATER SUMILON ISLAND RESORT, the farm and Bohol beach club particularly attract me given the kind of greenery that surrounds them as well the proximity to the tropical beaches that they have. Very nice list. This is a fantastic list! I was actually thinking of visiting Manila this year so I’ll save this article 🙂 I’m not used to staying in luxury but you never know! Looks like an amazing city too! What incredible places to stay. I think I would choose the Club Paradise Resort simply due to the marine life. I love snorkelling! Gorgeous photos, I’m so jealous of the people who got to stay at these hotels! I think my favourite bits were the pool view of Raffles, the outdoor view of Radisson Blu and the chandelier in the Fairmont. There are just so many amazing places to comment on in this post. The private Panglasian Island looks incredible though, and I love what the manager said about the animals being the residents there. 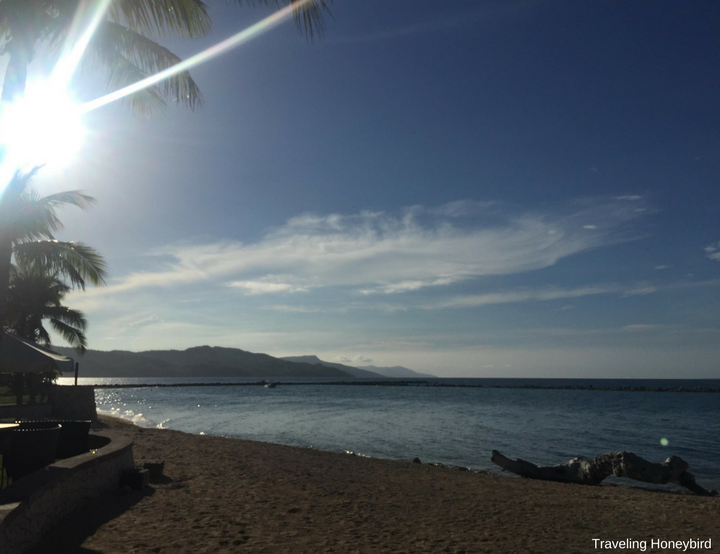 This post has given me serious wanderlust for some luxury in the Philippines! I rarely stay in luxury hotels because I don’t have much budget, but these hotels look so beautiful! I think Club Paradise is my favorite on this list, and I’d love to try half-day island-hopping tours there. I haven’t been to the Philipines yet but I will save up and try out some of your suggestions. I love staying in luxury hotels! Sometimes when you travel a lot you just need that place to relax and clean up your mind! I had no idea those in Philippines are more expensive than somewhere else in Asia! They all looks stunning so I hope I’ll have a chance to stay in one of those one day! 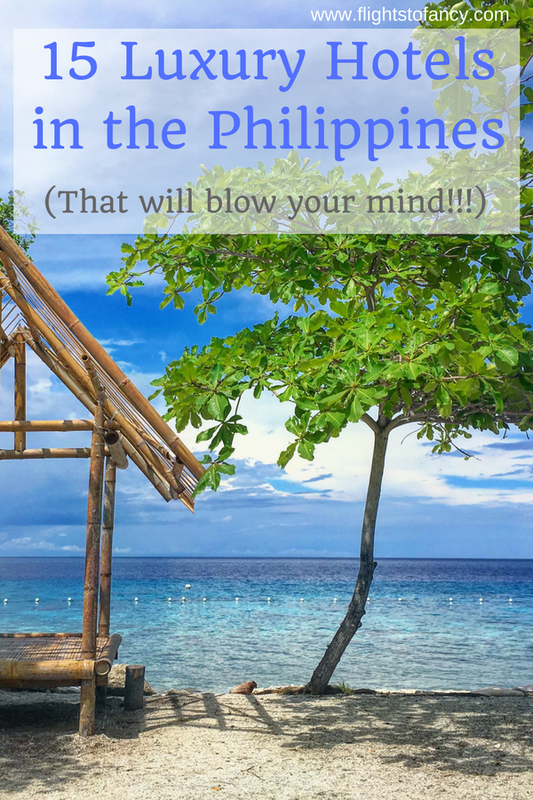 I have not been in the Philippines before but I’ll definitely bookmark this post for when I will! Thanks for sharing! Sensory overload. The hard part would be which one to pick! What a stunning bunch of places and not to mention located on beautiful islands. There’s no going wrong there except for the fact that we’ve got to get there sometime soon. It’s feeling like a little beach time. In all seriousness, these are simply stunning places. I think the Fort Ilocandia Resort would be right up my alley, as a student of history! I’m really in awe and in need of some luxury after reading this! I’ve been to Boracay, but never heard of Coast, though it sounds amazing. Also heard some great things about the Farm, and the healthy living they have there. Will definitely check it out the next time! We love the Philippines! So many nice places and that makes the hotels even better! Love the Plantation Bay, very nice pool area! Bohol beach club seems like a great place as well! The one we would like to go the most would be the Pangulasian island resort! I haven’t been to Cebu in years so your posts have inspired me to plan to go there again this year. I am super curious about Movenpick – it looks so grand and relaxing to stay there. I also wanted to try plantation Bay! I have heard only good things about it from my friends who’ve had the chance to stay! I never realized how stunning the Philippines was until now! The Flower Island Resort looks wonderful, definitely adding it to my bucket list. As a frequent visitor to the Philippines, I was underwhelmed by your blog on luxury hotels. Very little specific information, especially regarding price. Your rave reviews regarding crystal clear water and fabulous reefs, make me wonder if you know what you are talking about. I have stayed at several of your recommended resorts. Your hype seems more like shilling, than honest reviews. Hi Gerry. I’m sorry to hear you didn’t find the information you were seeking. In a round up post like this one it’s difficult to include all of the required information without overload so I have chosen to be brief but provide a link back to a full review for those that want more detail. I’ve purposefully stayed clear of including price given this can fluctuate greatly depending on the season and the deals available. I should note that only 5 of these are my own contributions and I can assure you that these are absolutely honest opinions of a genuine stay in October 2017. For the remaining 10 hotels, I have relied on fellow bloggers opinions and I have no reason to doubt that they have not been equally honest. While every visitor to any hotel may have a slightly different experience depending on their stay and expectations but if you have have been disappointed by any of the resorts mentioned I would be keen to hear it. Many thanks for stopping by.